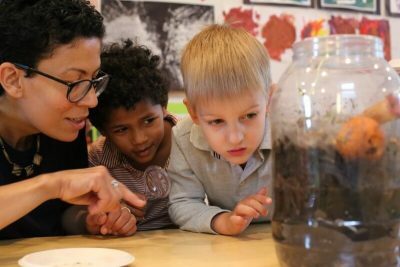 An independent Nursery to Grade 8 school in Brooklyn, focused on hands-on science, arts, and math and committed to providing children with a rich and rigorous multilingual education in French and Mandarin. At Science, Language & Arts International School, children are taught to celebrate diversity and be active stewards of their community through school events and activities. Faculty and families model this behavior, and our events capture this spirit. SLA families come together frequently to engage in activities outside of the traditional school day, including social events, STEAMFest Winter Fair (a celebration of science), local festivals, and marches. Our dynamic community is rich and varied in interests and talents, and we love to gather to celebrate these qualities and learn from one another. We invite you to get to know the SLA community at our upcoming events, or attend an information session.